LITTLE GIANT 566266 Fountain Head Kit | Fountain City Art Ctr. The most appealing aspect of a water garden is the tranquil sights and sounds of moving water. you can choose from a range of fountain nozzle patterns to create a unique effect in their pond. 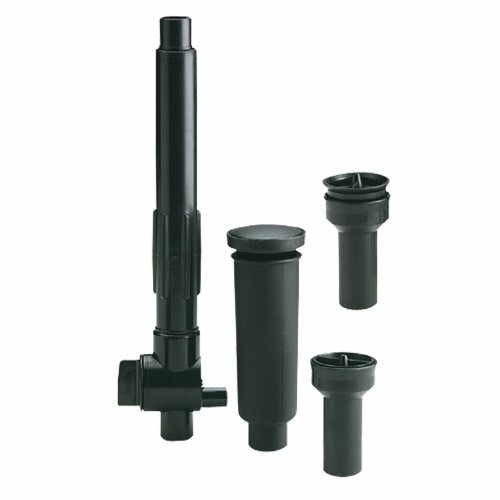 These nozzles are easy to use, and designed to work with a wide selection of Little Giant pumps. All of our fountain nozzles come with a 1 year warranty. Daisy, tulip and waterbell spray pattern. Fits pumps with 1/4-inch MNPT discharge. Telescoping stem extends 8-inch to 12-inch. Flow control valve for spray adjustments.